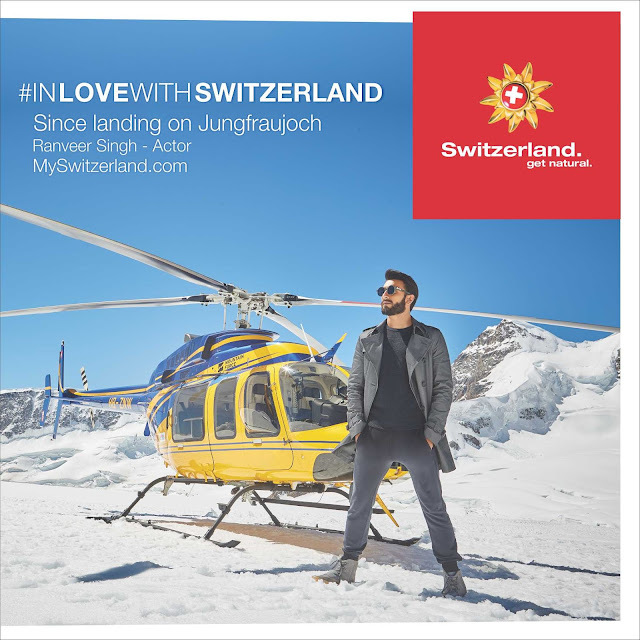 If you love Ranveer Singh... You will love this special edition video of him for the ‘InLoveWithSwitzerland’ 2017 Summer campaign. The video features Ranveer Singh having a blast in Switzerland as he tries an array of fun activities to get his adrenaline rush on and takes us through Ranveer’s summer trip in Switzerland where he tried various sporty adventures like Wakeboarding on Lake Zurich, Tobogganing on Mt. Pilatus and Ski jumping at the Swiss Museum of Transport. We also see Ranveer, an avid chocolate aficionado, giving chocolate making a try at the Funky Chocolate Club in Interlaken. The extended video also covers Ranveer, a complete football fanatic, visiting the FIFA World Football Museum in Zurich. 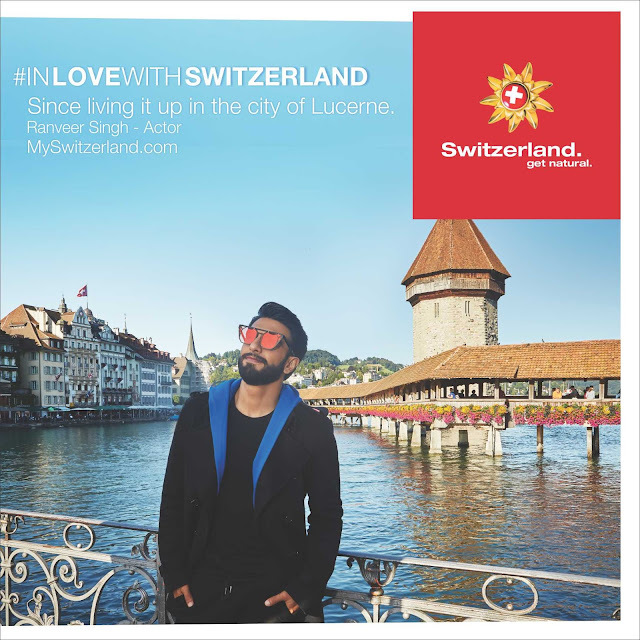 The ‘InLoveWithSwitzerland’ campaign highlights the best experiences that one can have in Switzerland and captures Ranveer Singh’s love and admiration for the country, which he now calls his second home. The campaign has been developed and conceptualized by Switzerland Tourism and produced and directed by Navzar Eranee of Walkabout Films. 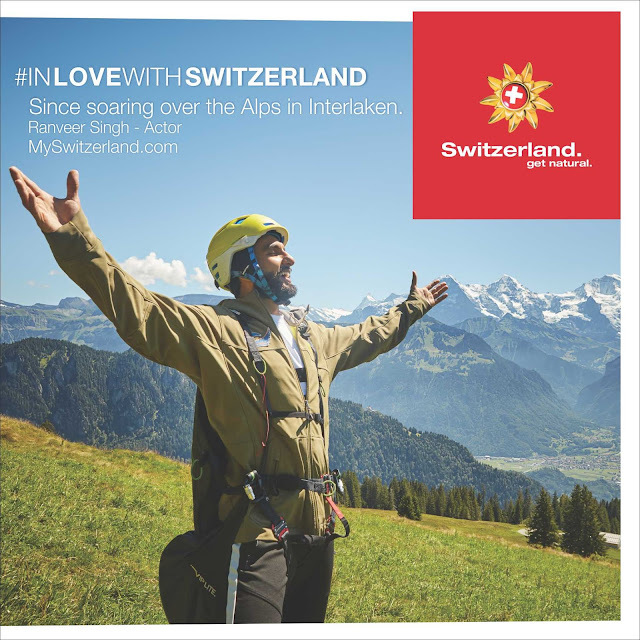 Mr Claudio Zemp, Director, Switzerland Tourism India, said, “Our new campaign is to show people that a holiday in Switzerland can be anything you want it to be. It does not matter which age group you belong to cause in Switzerland there is something for everyone. A holiday in Switzerland is all you need to get back to nature with their fun filled activities and impeccable views.